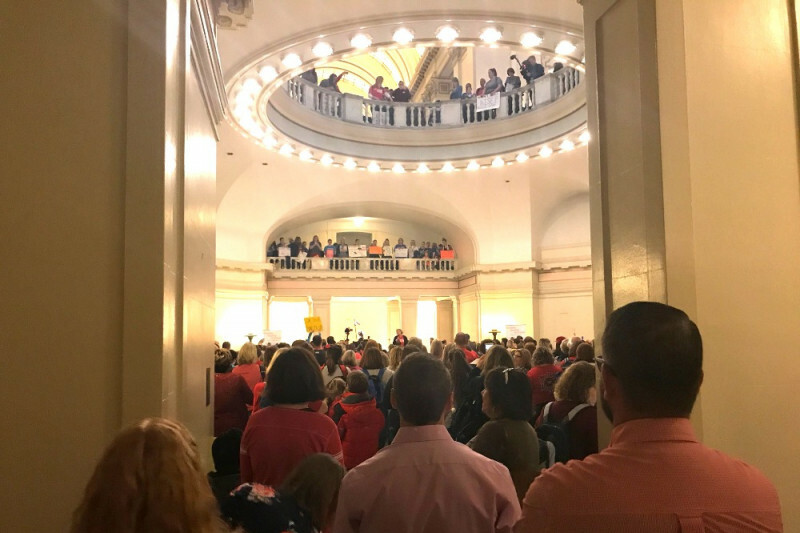 Oklahoma educators, support professionals, parents, students, and community members have been PACKING the Oklahoma state Capitol this week to speak up on behalf of Oklahoma’s children! Can you support them by buying them lunch? We’re raising money to buy lunch of anyone attending the #OKwalk4kids on Thursday, April 5, 2018. Oklahoma’s per pupil expenditures rank among the lowest in the nation. Oklahoma public schools have seen a 28% reduction in school funding since 2008. This has left our students with broken desks and books that are older than the students reading them. The Oklahoma Education Association is a non-profit association representing public education employees in Oklahoma and has been at the forefront of multiple efforts to increase education funding in Oklahoma the last several years. Donations are not tax deductible and will be kept in a segregated account used only for these purposes. Any funds remaining after the successful conclusion of this effort will be donated to Oklahoma public school charities or foundations to assist public education in Oklahoma. You can follow our progress at StandWithTeachers.org. Thank you for your support!